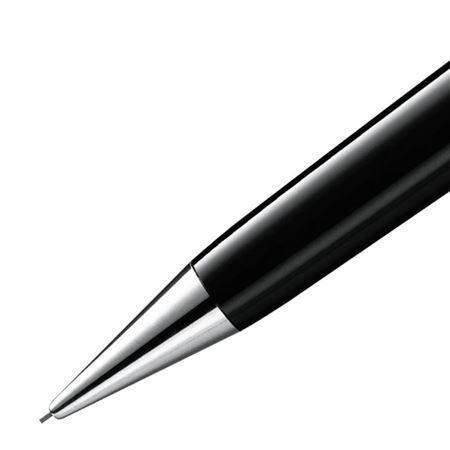 Order your Montblanc Meisterstuck LeGrand 0.9mm Pencil with Platinum Trim today from FahrneysPens.com. Fine Pens, Refills & Luxurious Gifts – great prices & fast shipping. 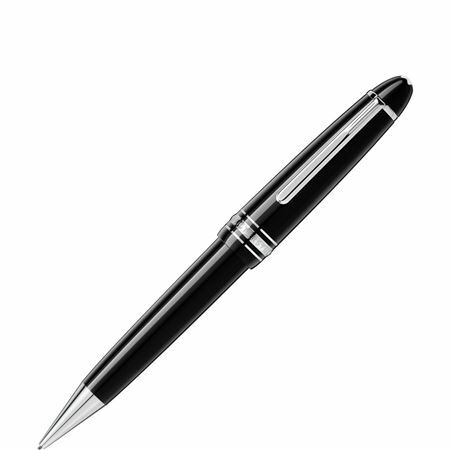 Add a touch of sleek and modern design to the life of a writer or pen collector with the Montblanc Meisterstuck Le Grand 0.9mm pencil with Platinum Trim. All the brilliance of the Meisterstuck family is enhanced in the Le Grand series, making it a grand writing instrument. 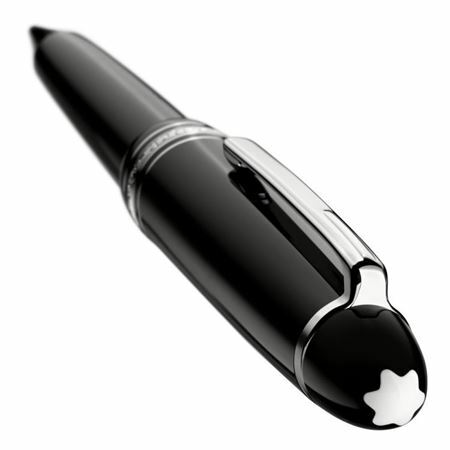 The barrel of the Montblanc Meisterstuck Le Grand Pencil with Platinum Trim is made of precious black resin, inlaid with the Montblanc emblem. Enhanced platinum-plated clip and rings create a brilliant contrast of black and white design. 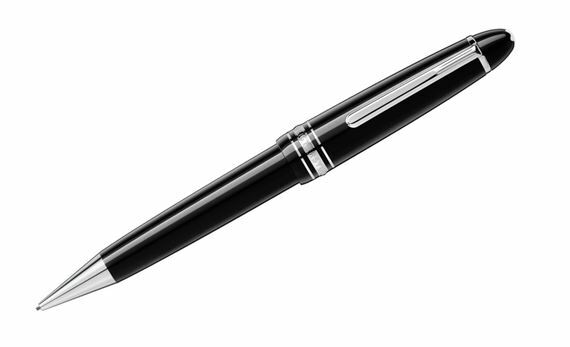 Enjoy using the Montblanc Le Grand pencil daily! The twist-action mechanism dispenses the 0.9mm led refills with ease. With it's oversize design, the Le Grand will feel comfortable in your hand each time you use it. Pencil Size and Weight: 5 1/2 x 1 1/2, 1 oz.